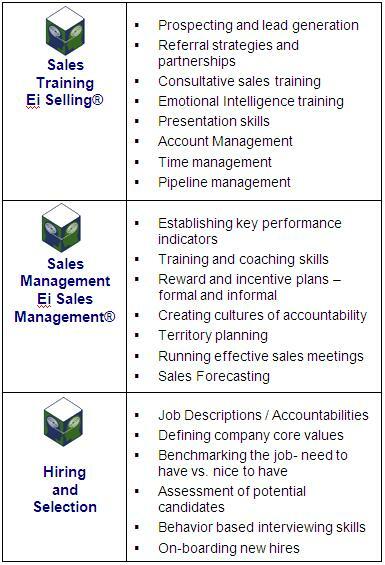 The good 'ole days are gone, and so are outdated methods of selling and sales management. The information age and a global economy demand a fresh, authentic and smart approach to business. SalesLeadership, Inc. is an expert at building high-performance sales teams. Three areas will ensure your sales organization has a complete strategy in place: sales training, sales management training, and hiring & retaining top salespeople. Call 303-708-1128 to find out how the experts at SalesLeadership, Inc. can help you.